Daniel J. Lane Esq. is a partner and co-founder of the firm, Lane & Lane, LLC. 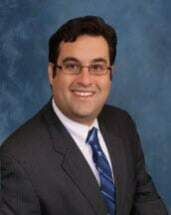 Previously, Dan was an associate with the law firm of Steven R. Lane, P.C. Prior to joining Lane & Lane, LLC, Daniel interned for the Somerset County Prosecutor's Office where his responsibilities included preparing and arguing Appeals on behalf of the state. Dan. earned a B.A. in History from Muhlenberg College in 2003 and graduated from Roger Williams University School of Law in 2007. While in law school, Dan achieved recognition for his dedication to community service, providing over 60 hours of pro bono work. In addition Dan also received certification from Roger Williams School of Law for successful completion of the school's Mediation program. Dan's practice has largely been dedicated to family law, representing individuals in divorce, custody, post judgment, and domestic violence matters throughout the State of New Jersey. Since Dan began practicing, he exhibited a dedication to representing those who could not afford an attorney, acting as a volunteer for Legal Services of Northwest Jersey. In 2010 Daniel was awarded the Equal Justice Medal for his pro bono representation of low income clients in Family Law cases. In addition to family law, Dan has experience representing clients in municipal matters, estates, wills, civil litigation, and appeals.